The gums are a fundamental part of the oral structure and provide support and shelter to the teeth. The health of the gums and the teeth are closely related, to the point that if the former are affected, the latter sooner or later will be, and vice versa. 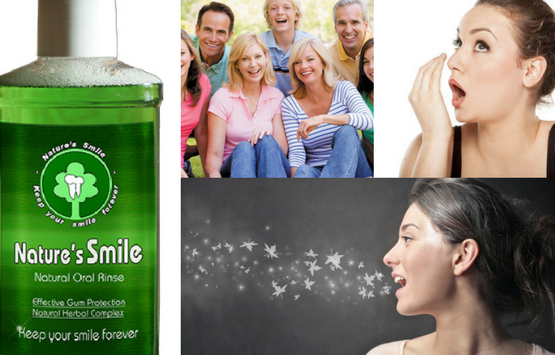 Today we will talk about food and receding gums mouthwash! Do your gums have Sensitivity? This is a symptom that you are not in good health and you have to check your habits to find the reason for this sensitivity. Gums are an excellent indicator of the state of oral health. If they are being affected by sensitivity, color changes or bleeding, are sending a message that something is not working. And letting it go without attending the dentist the person may suffer from gingivitis and even chronic periodontitis, capable of ending with the support of the teeth, show their neck and also cause the loss of them. Poor Oral Hygiene: The person suffering from bleeding gums may have neglected their oral hygiene by not brushing after each meal, not using the thread and dental rinse and allowing the plaque to settle and grow. Poor oral hygiene may also occur due to inadequate brushing, improper brushing, toothpaste that does not have the required fluoride, etc. Feeding: Not ingesting a number of nutrients required by the body can weaken the gums and make them susceptible to damage, irritation, breakage, etc. Tobacco: Smoking cigarette promotes poor oral health, receding gums, staining teeth and discouraging the immune system. Gestation Period: Due to the hormonal changes that occur during pregnancy, it is common for pregnant women to suffer from gingivitis in greater proportion than other people. Drugs: Some medicines can cause xerostomia or dry mouth, which can make the gums more irritable and more sensitive to any contact. Excessive consumption of certain foods can cause damage to the teeth and gums. That is why you should consult with your dentist how highly recommended their consumption and be very attentive to any symptoms that may be affecting your mouth. To enjoy good oral health, we must be very careful not only with the oral hygiene habits but also with the foods, drinks, and products that we consume and that come into contact with our teeth and gums. Consuming these foods in moderation may mean not damaging tooth enamel, gums and oral tissues in general. This time we will warn you about some external factors that may endanger your teeth. Tobacco: One of the most important is tobacco or cigarette. It is well known that its effects on the teeth and tissues of the mouth are harmful as they promote tartar, dental plaque, in addition to nicotine gives a yellowish color to your dental pieces. Sodas And Sugary Drinks: A high consumption of sugars helps the bacterial plaque to settle in your teeth, generating the necessary broth for caries to develop. In addition, the sugar lodged in your mouth can gradually corrode the dental enamel. Fries: Thanks to the accumulation of carbohydrates in your teeth, plaque and tartar formation are promoted, which end up deteriorating the dental enamel and leaving the teeth vulnerable. Citrus: As we have said in previous articles, citrus fruits play a decisive role in the reconstruction and healing of tissues, including the buckle ones, so it is advisable to consume them. However, an excess in consumption can put the enamel in danger. Coffee: This drink that is so common in our diet can have unwanted effects if consumed without moderation. An excess in consumption can stain the teeth and promote the formation of bacterial plaque. Healthy gums are an assurance of optimal oral health. Gums are very important because they are the tissues responsible for supporting the dental pieces but are also vulnerable to poor oral hygiene, poor eating habits, and exposure to alcohol and tobacco. That is why you must take care of them as much as the teeth themselves, and be aware of any symptoms that may indicate they are sick. If for some reason you feel you are not well, eat these foods to have healthy gums. Normally when the gums begin to be affected, it enters the gingivitis, becoming a strong and bright color, and becoming very sensitive to the minimum contact to the point of bleeding. This picture should be treated as soon as possible because if not, it can develop periodontitis and the stability of the teeth would be threatened. Wheat germ oil: This oil or other foods rich in Vitamin E can help restore gum health and prevent receding gums. Dairy: Dairy foods are rich in Vitamin D which improves the absorption of minerals such as calcium and phosphorus, essential for healthy bone structure. In addition to dairy, you can get Vitamin D in some fish, margarine, and eggs. Citrus: Citrus is a wealthy source of Vitamin C, which plays an essential role in the regrowth and recovery of tissues in the body. This is because this vitamin is necessary for the synthesis of collagen, which is what allows recovering and healing the tissues. In addition to this, it also has antibacterial properties. You can find it in lemon, lime, orange, kiwi, etc. Although these foods can help the welfare of the gum, if it is affected it is important that you visit the dentist because in some cases the conditions are so severe that they need the use of antibiotics. 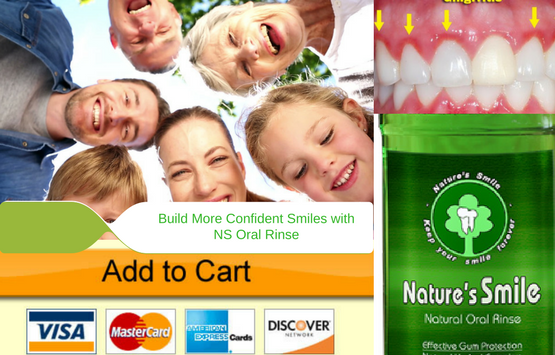 Nature's Smile Receding Gums Mouthwash has more than seven natural extracts such as Oak, Pine tree carotene extract, Silver Fir, Chamomile, Yarrow, Saint John's Wort, Greater Celandine, and Nettle have the powers to fight what your body can’t. No other product on the marketplace combines all these powerful ingredients.